CSUN’s Delmar T. Oviatt Library. Photo by Lee Choo. Copyright can be an intimidating legal issue for creative-minded people. A thorough understanding of its intricacies can prove invaluable to visual artists’ success. The Delmar T. Oviatt Library at California State University, Northridge will aim to foster greater understanding of this topic during its annual copyright symposiumon Wednesday, April 5, from 8:30 a.m. to 4 p.m. in the Jack and Florence Ferman Presentation Room, located on the garden level in the Oviatt Library. This year’s event, dubbed “Visualize This! The Creative Side of Copyright,” will focus on informing visual artists how to effectively navigate copyright law. National and regional copyright experts will spend the day discussing best practices and topics, including intellectual property, the continual growth of online access to photography and digital media, and fair use — the right to legally use copyrighted material without paying or securing permission from the copyright holder, in certain circumstances. Speakers also will address how copyright applies to more recent creative innovations, such as 3-D printing technology. “We hope that attendees will gain confidence in understanding copyright and fair-use guidelines [for] using visual images in their scholarly works,” said Dean Arnold, the Oviatt Library’s music and media supervisor. Featured speakers will include Kenneth Crews, a practicing attorney and faculty member at Columbia Law School; Martin Brennan, a copyright and licensing librarian at the University of California, Los Angeles Young Research Library; CSUN English professor Charles Hatfield; Todd Bigelow, a lecturer in CSUN’s Department of Art; and CSUN art history professor Peri Klemm. The symposium is free and open to the public. Guests are encouraged to RSVP on the library’s website by Friday, March 31. 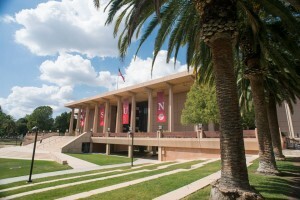 The Oviatt Library is located at the center of the CSUN campus at 18111 Nordhoff St. in Northridge. Visitor parking passes are $8 and can be purchased on campus or online at the Permit Store. For more information or to RSVP, please visit the symposium’s event page at http://library.csun.edu/events/copyright-2017 or contact Dean Arnold at (818) 677-2211.